Originally from India, the 32-year-old man reportedly moved to Washington about two weeks ago and worked as a programmer in Bellevue, police records show. 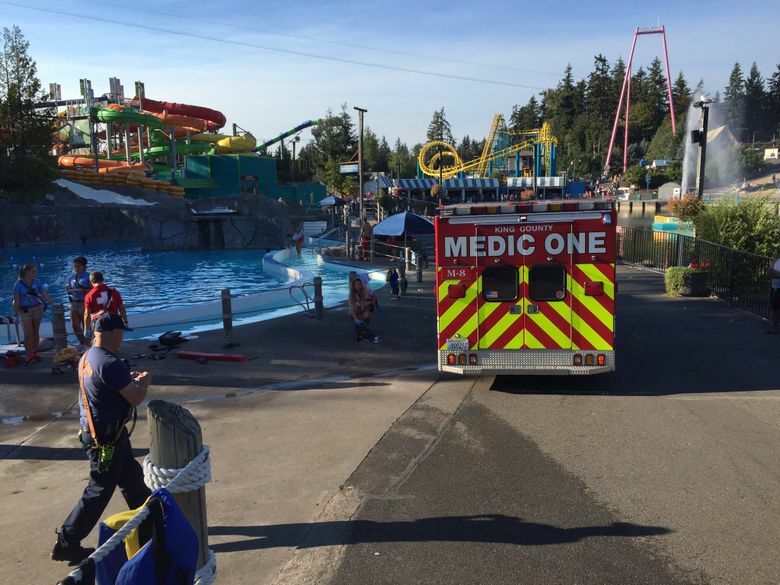 Wild Waves Theme Park officials expressed their condolences Monday to the relatives of the man who drowned at their water park in Federal Way on Saturday and said they are helping authorities investigate his death. The King County Medical Examiner’s Office identified the man as 32-year-old Vijayarengan Srinivasan. He died from asphyxia due to drowning, and his manner of death was ruled an accident, the office said. In an emailed statement, Wild Waves said they are working with authorities and not granting interviews at this time. According to police records, Srinivasan arrived at the park around 11 a.m. with a 32-year-old friend, who told police Srinivasan was originally from India and moved to Washington about two weeks ago. Srinivasan worked as a programmer for the consulting firm Infosys in Bellevue, according to the police report. The rest of his family lives in India, the report says. He had a wife and 3-year-old child, according to the report. After lunch Saturday, the friend told police they both stood “on the big rock platform” at the water park’s activity pool, with plans to jump in at the 10-foot level and meet “at the edge,” according to the police report. Srinivasan mentioned he might use the nearby water slides, the friend told police. After making the jump and not seeing Srinivasan, the friend proceeded to the park’s “roller coaster area,” where they planned to head later, the report says. About 20 or 30 minutes later, the friend returned and saw lifeguards giving Srinivasan CPR, according to the report. South King Fire & Rescue crews responded to help, but they could not revive him. One lifeguard told police she jumped into the pool after seeing what looked like a body at the bottom, the report says. But due to the “murkiness” of the water, both she and her superior did not find anything, the report says. Another lifeguard told police that children told him they saw a body at the bottom of the pool, but the lifeguard “believed that they were pranking him and did not think anything of it,” the report says. Police so far have not found witnesses to the drowning, the report says. Authorities who were providing extra security at the water park Saturday reported that the CPR effort was not communicated over the “Wild-Waves-issued” portable radios for staff and security, the report says. “I could see a large crowd gathering near one of the water attractions near the lake,” one officer wrote in the report. At one point, more than 300 spectators surrounded first-responders as they gave CPR, and some of the spectators grew aggravated, the officer said. The drowning occurred “in the heart of the water park,” which has elevated slides, a river for tubes, platform jumps and pools with various depths, the report says. The drowning comes after a 10-year-old boy was killed on a huge slide at a Kansas water park earlier this month.